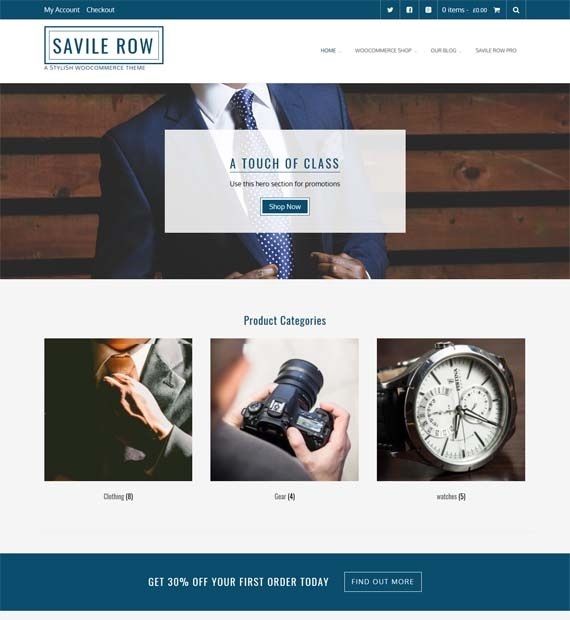 Savile Row is a WooCommerce compatible WordPress theme that is perfectly suited for an online store. This free and responsive WordPress theme boasts multiple header designs, multiple blog/page layouts, custom homepage designs and featured images enabling you to create a stylish website that best suits you. Savile Row is also translation ready with WPML compatibility and comes with as RTL Language support. Moreover, it is extremely user-friendly to set up for people without coding experience.